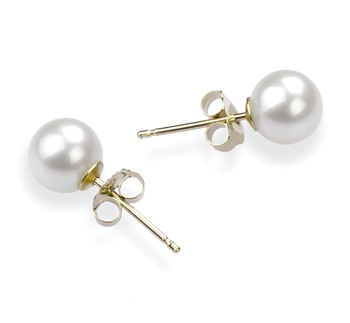 Looking for a statement pair of earrings that you can wear whenever you like? 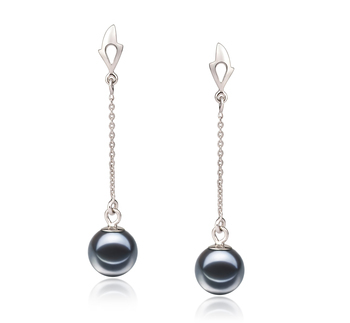 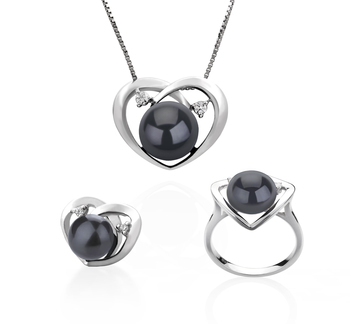 Then look no further than this stunning pair of Shellry 9-10mm Black Tahitian pearl earrings. 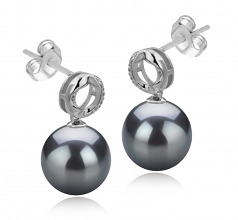 The round AAA grade pearls make these the ideal accessory to be worn by any stylish woman who likes to feel elegant. 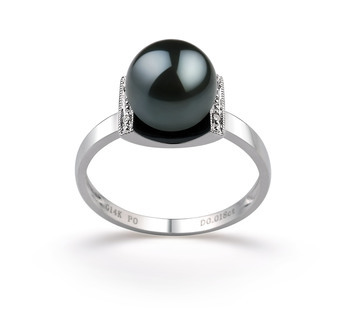 What makes these pearls so beautiful are their luster and the beautiful overtones that will appear on their surface as light reflects off them. 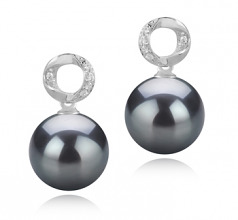 Such earrings will look beautiful on any woman no matter their complexion. 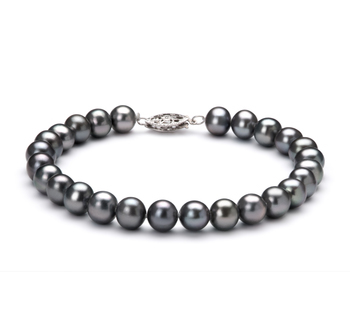 They will help to elevate any outfit you enjoy wearing, from a smart skirt and shirt combo for work to a more elegant and daring black off the shoulder dress that you would wear to a dinner party. 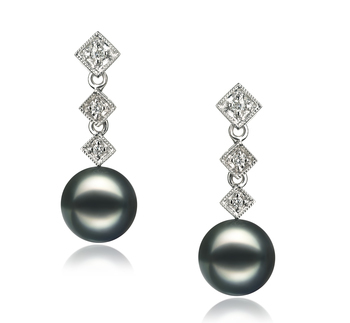 The addition of a screw back in which has been set 10 gemstones allows these earrings to hang elegantly from your earlobes, yet will keep them securely in place at all times. 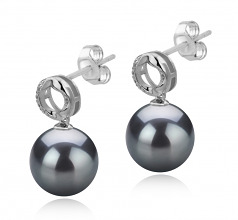 Show only for "Shellry Earring Set"